The Senate Immigration Debate: Let the Wild Rumpus Begin! Readers who are parents may very well recognize the phrase "Let the wild rumpus begin" as a line from Maurice Sendak's beloved children's book, Where the Wild Things Are, in which fantasy and reality collide in the mind of the child Max in ways surreal, enchanting, and slightly disturbing. The phrase came to my mind as an apt metaphor for the immigration debate that Senate Majority Leader Mitch McConnell is about to unleash in the upper chamber of the Congress later today, in keeping with a promise he made in return for obtaining Democratic agreement to a continuing resolution (CR) that lasted a mere few weeks in order to fund the federal government. The exchange — an "open" immigration debate for a couple of weeks of government funding — seemed ill-balanced at the time: giving away much in return for so very little. 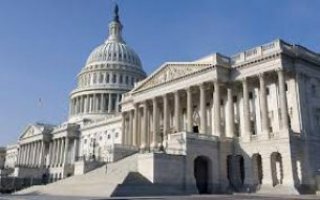 It seems even more so in light of the most recent developments — another CR in lieu of a permanent budget for federal fiscal year 2018 (which began last October), and a budget-buster at that, one that obliged Congress to lift federal spending caps, which was once a line in the sand for (mostly Republican) fiscal conservatives. The no-holds-barred immigration debate is expected to begin this afternoon. On one hand, you have advocates of a "clean" amnesty for millions of illegal aliens (clean meaning no trade-offs for immigration enforcement measures or fixes for identified abuses in the legal immigration system). On the other, you have advocates who want funding for border security (some who advocate the wall, and others who only want so-called "smart technologies"); advocates who want to introduce legislation to stop sanctuaries as well as deprive them of funding (and some who don't, or don't care); and some advocates who want to end the diversity visa lottery and unrestrained chain migration (and some who don't, or instead want to simply swap the same number of aliens flowing in each year by substituting foreign workers for extended family members). All in all, there are a million shades of gray at play. Leader McConnell is using an arcane tactic to allow the legislative scrum that will result: He will bring to the floor of the Senate a House bill that has absolutely nothing to do with immigration. He has made it known that this will be his vehicle for moving on the question of amnesty for DACA (Deferred Action for Childhood Arrivals) recipients, or the rather larger pool of "Dreamers", which includes even those who didn't apply for, or were denied DACA. It could also conceivably include illegal aliens whose temporary protected status is set to expire. Thus, the president's own established ceiling of amnesty for 1.8 million aliens seems more likely to be a floor by the time the Senate ends its tinkering. Such legislative legerdemain on McConnell's part is fantastic and surreal, no doubt, and certainly disturbing. But by doing this, and at the same time allowing an open amendment process (meaning that anything can be tacked onto the bill, including provisions having nothing to do with its original intent — such as immigration), McConnell insists he will arrive in some form or fashion at a point where the result will garner the 60 votes needed in the Senate for passage. Why, you may ask, are 60 votes needed to pass an immigration bill when it would seem that a simple majority of 51 senators out of 100 should suffice? Because in the anti-democratic Senate, there is a rule that McConnell has refused to rescind that permits open-ended filibuster of any bill that doesn't receive 60 votes to end the bloviating by the filibustering senator(s). That's the reason the Senate has been unable to pass a permanent fiscal budget, has been unable to arrive at agreement on the outlines of an immigration bill, and why allegedly fiscally conservative Republicans agreed to raise the debt ceiling in order to buy themselves another couple of weeks on a CR once again, although it does include two full years' worth of funding for the military, emergency management, and domestic entitlement spending, while leaving the rest of the federal government at risk. There are many reasons to believe that, just as Republicans sold out their credentials as fiscal conservatives in the most recent CR, they may do the same thing with immigration enforcement, at least in the Senate, simply in order to be able to claim that they have moved something — anything — having to do with immigration forward for (re)consideration by the House of Representatives. It allows them to kick the can elsewhere, with little regard to the strategic wisdom of what they produce when considered in the context of sound policy for our immigration system. Let's hope that, if it's as bad a product as one may fear, it suffers the same ignominious fate that the infamous, fatuous, and disingenuous Gang of Eight bill did in 2013-14, when it was never even taken up by the House. Better nothing at all than to repeat the mistakes of the 1986 amnesty that was touted at the time as a one-time measure that would never have to be repeated, because the omnibus legislation to which it was attached would "cure" all the problems associated with large-scale illegal immigration. It did no such thing.